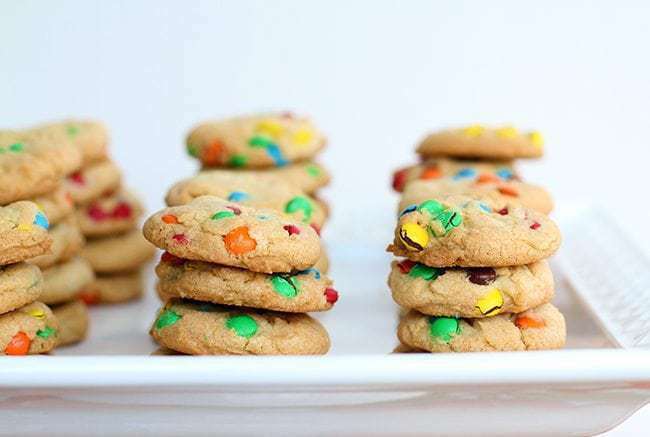 Mini Cookie Snack Packs : Mini M&M Cookies Recipe! This is one of those occasions where I totally feel like I let you down. I HAVE the perfect crispy cookie recipe. I developed it a couple of years ago now, it’s my go-to recipe for when I want some seriously buttery, amazing crispy cookies. So why on earth didn’t I figure out that I could make my own “snack packs” with crispy little cookies in them? So here’s the thing. There are many things wrong with those snack packs, the least of which is that they are expensive. Add in all sorts of weird ingredients in the cookies and well… I don’t think I need to go further. Listen. I’ve bought the snack packs, I totally have. This isn’t all “getting on the case” of those who buy snack packs. I’ve bought them. I’ll probably buy them again, BUT let me tell you, it won’t be that often. Not after this recipe. It’s so easy. You just need to make my crunchy cookie recipe smaller and bake up mini cookies. I’m just here to offer you a much cheaper, healthier and better version than those store-bought mini cookie packs. Oh yes, I just said BETTER. Dudes, once you have tasted this cookie recipe, there ain’t no going back. I’ve spent years perfecting this recipe and have made it in my sleep, it’s a standard in our house. I am rather sad that I only figured this out right before school ended. I have to admit however that Mike and I could NOT STOP EATING THE SNACK PACKS. Look, you can fill my pantry with all sorts of pre-made, boxed goodies and I usually (excepting Oreo’s and PB cups) can ignore them. They just do not taste the same. We put these in the freezer, to save them for the kids lunches. BIG mistake. They taste even better frozen. So I have established that these are delicious, evil and about ten times better than store-bought. If you are concerned about taking the time to make these cookies, turn it into a family time. Bake with your kids. They will get such joy from creating cookies for their own lunches! One batch of these makes around 16 snack packs so if you are like me and don’t send cookies daily, these will last you a long , long time for kids lunches. Just pop them into the freezer and pull them out when you need them! Actually, if you are like me, you will eat more than you send to school. I blame Mike. 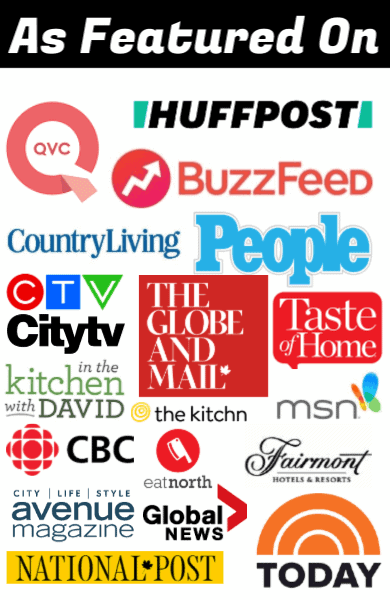 PIN THIS RECIPE to your COOKIE RECIPES Boards and Remember to FOLLOW ME ON PINTEREST! 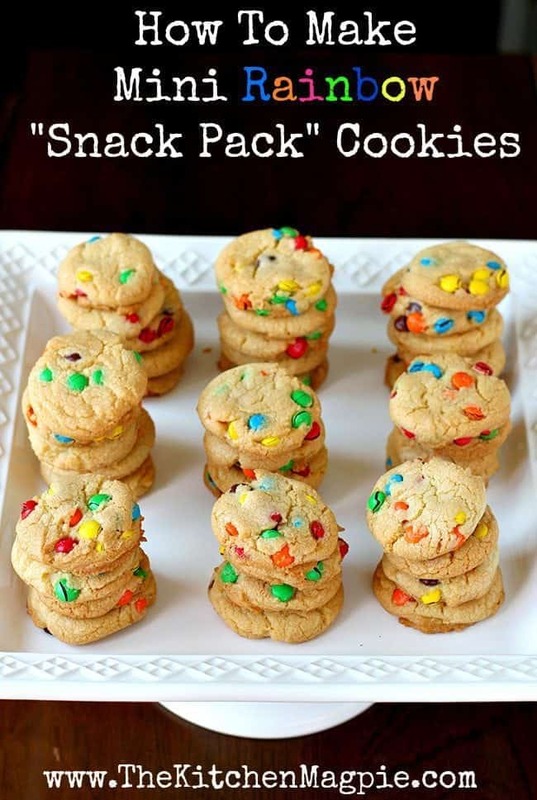 How to make mini cookie "snack packs" for school lunches, picnic's or just portioned snacking. These are crispy cookies, just like the store bought but of course, they taste a million times better! Kick the tires and light the fires to 375 degrees. Cream together your butter and sugar until it's light and fluffy. Add in the egg and vanilla, mixing thoroughly. Beat in the flour, baking soda and salt. 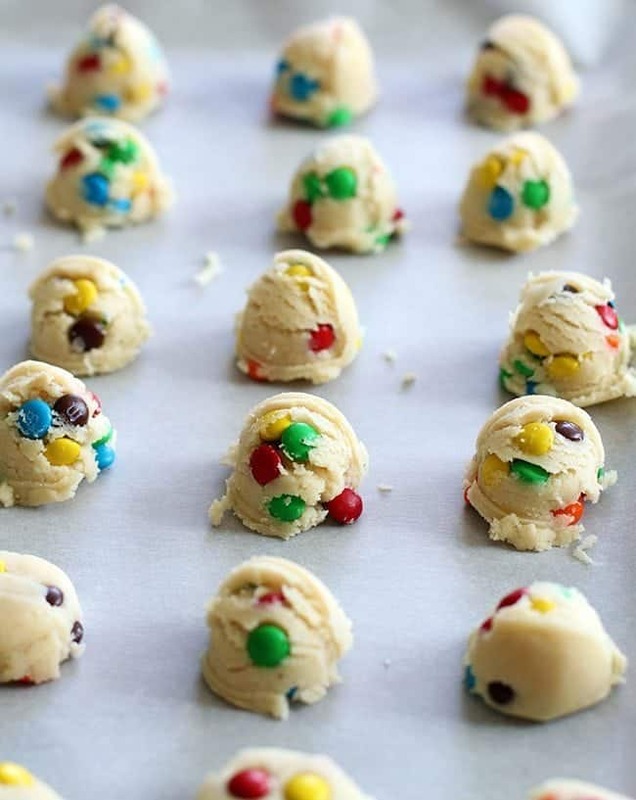 When that is done, fold in the mini M&M's by hand, and prepare to put them on some parchment paper lined cookie sheets. The dough WILL be drier and more crumbly, but it will form balls for cookies. Using a .5 tsp cookie dough scoop OR taking 1/2 teaspoon of dough, make the dough into a ball and place on the cookie sheet, 4-5 in a row depending on the size you make them. Flatten each cookie.This is a dry dough â€“ no sticky chewiness going on here- but it's just wet enough to make perfect little flat cookie patties. Bake at 375 for 8-10 minutes, until golden brown. Cool on the sheets completely. Package into sets of 4 cookies using small snack bags. Freeze the snack bags then pull out when needed. We aren’t allowed to send cookies to our preschool 🙁 I’ll file this for next year once she is in Kindergarten. Yes crispy cookies are the BEST with coffee! Better than biscotti lol! Glad that you liked them! Just made these – DELICIOUS! These sound awesome! The kids are always asking for a “treat” for their lunch..
Nope… Splenda is what caused my colitis! Could you try Splenda in then? Isn’t it a one to one ratio? Uhhhhh……trial and error on that one! Why cutting the sugar? Wondering how much sugar I can cut out before it ruins the recipe??? My mom made smartie cookies for back in the 60’s…. They’re my favorite! 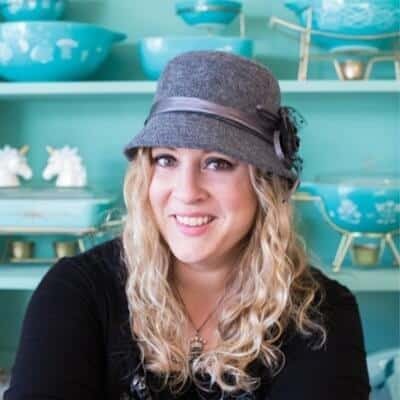 Is it self rising flour or all purpose flour? Just bought my mini M&M’s….. Cookies are one of the only foods that I can handle being frozen! I’m really picky about frozen food…it usually tastes gross to me! I love these. We made a massive batch with raisins, and froze them in snack bags and just pulled them out once a week for two months!